If nations need skilled migrants, they should train them in their countries of origin. The world urgently needs better tools to manage international migration. But few agree on how to make those tools, or even which ones we need. We have a rare window of opportunity now to do this. The world has set its attention on migration as hundreds of thousands of people move across Libya, Myanmar, Mexico and elsewhere. Migration has shaken the world’s most influential elections and alliances. And the United Nations has opened negotiations for a new Global Compact for Safe, Orderly, and Regular Migration – due in 2018. The world cannot hope for “safe, orderly, and regular” migration without innovation: new kinds of legal migration. More migration is certainly coming. Consider the 800 million new working-age people in sub-Saharan Africa by the year 2050. That increase is 24 times the size of today’s entire labour force in the United Kingdom. This is wonderful news – some of the best news of our time – because it mostly results from the collapse in African child mortality in recent decades. But these pressures, combined with aging and sometimes shrinking workforces in many advanced economies, essentially guarantee rising migration pressure. The question isn’t whether more migration will happen, but whether it will happen on terms that unleash the potential of those young people, or waste it. The problem is that more migration in the same old channels is profoundly controversial. Not just in countries of migrant destination, but in countries of migrant origin, too. In fact there is a crack in the core of current negotiations on a Global Compact for Migration: Many migrant-destination countries see their interests as best served by relatively skilled migration (if any). And many migrant-origin countries are deeply suspicious of high-skill migration, preferring relatively low-skill migration (if any). The global compact is a rare chance to strike a deal that benefits everyone. Here is one innovation that could help, among many that we need. A Global Skill Partnership is a bilateral agreement designed to sensibly share the benefits and costs of skilled migration between the migrant-destination countries and migrant-origin countries. Employers and governments in migrant-destination countries support technical training for migrants in their country of origin, before they move, with cross-subsidies to train non-migrants. Done right, a Global Skill Partnership can benefit all involved. Young people looking to work abroad can pursue enormous opportunities for themselves and their families. The countries of destination get migrants with precisely the skills they need to contribute the most and integrate fast. The countries of origin get finance and technology transfer to support the training of both migrants and non-migrants – an engine of finance and human capital creation, not a drain. The economic heart of a Global Skill Partnership is a dual arbitrage opportunity. The first is that workers like nurses, hospitality workers and mechanics can be hundreds of percent more valuable, in strictly economic terms, providing their services in a rich country rather than in a poor country. The second is that training those workers can be done in a poor country at a small fraction of the cost in a rich country. These mean that a Global Skill Partnership doesn’t mean taking away from some to give to others. Like all arbitrage opportunities, it is a chance to add value, to increase the size of the pie for shared benefit. Some features of this approach have been tested in numerous settings. Public-sector models include the Australia-Pacific Technical College and Germany’s groundbreaking work on overseas training of nurses. Private-sector models include the Porsche Training and Recruitment Center Asia. These programmes train workers in hospitality, health, mechatronics and other fields for between a few months and two years. In all of these arrangements, destination-country governments or firms support training for future migrants in their home countries. They have worked out many of the obvious logistical hurdles of such a global enterprise. The Global Compact on Migration marks an uncommon opportunity to achieve political consensus and commitment to safe, positive and pragmatic migration governance. Global Skill Partnerships offer a new kind of migration that addresses widespread, legitimate concerns about some kinds of migration we have now. 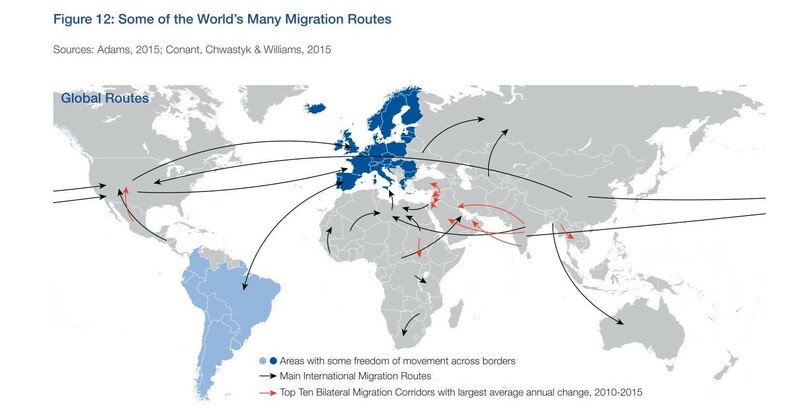 How should the world manage migration? As the compact participants prepare for their December stock-taking meeting in Mexico, the draft and ultimately the final text of the compact should commit to piloting Global Skill Partnership agreements between developing countries of migrant origin and developed countries of migrant destination. It should commit to many other innovations as well. The Migration Leaders Research Syndicate of the International Organization for Migration has offered several potentially fruitful innovations. These include Anna Triandafyllidou’s proposal that labour migration be regulated by economic sector to reflect its high segmentation by sector, and Jørgen Carling’s proposal for development policy to reduce the number of unsuccessful attempts at irregular migration. A global compact that fails to consider new lawful channels for migration will be overwhelmed by reality. A global compact that calls for more migration in the same old channels will fall on deaf ears. A global compact that proposes specific, new, mutually beneficial kinds of migration will become an important tool for the challenges ahead.